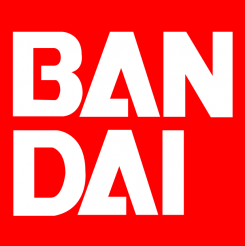 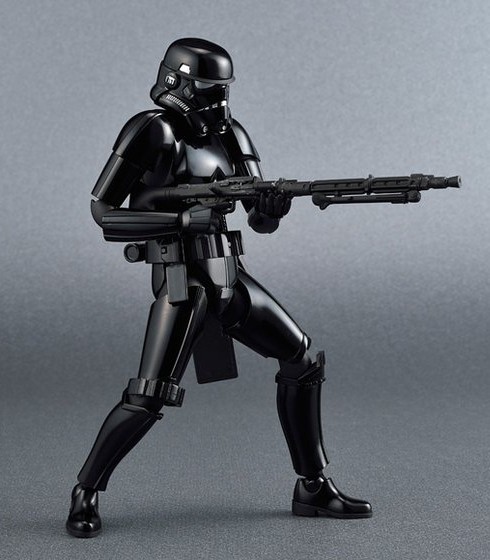 The Modelling News: No better day to release something Star Wars from Bandai….3 releases and one we have solid info on..
Bandai are getting heavily into injection moulded Star Wars kits at the moment – Several kits from the original trilogy and also new items from “the Force Awakens” feature in their line up – today we heard of two popular releases in the 1/12th figure scale range – no – make that THREE new figures! 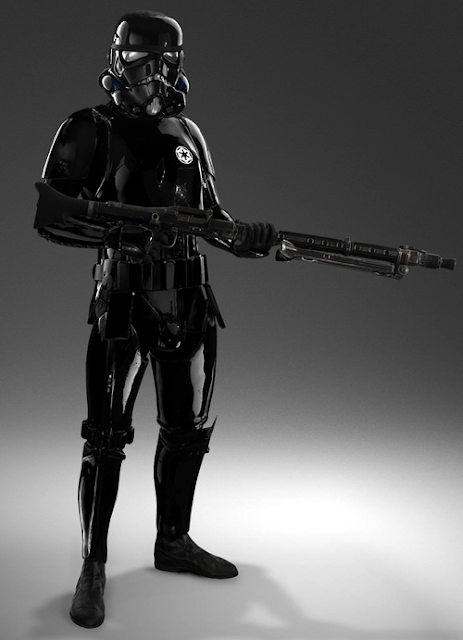 Armed with a powerful blaster rifle and dressed in black Armor designed to increase sensor-stealth, these Stormtroopers loyally serve a mysterious agent of evil named Carnor Jax. 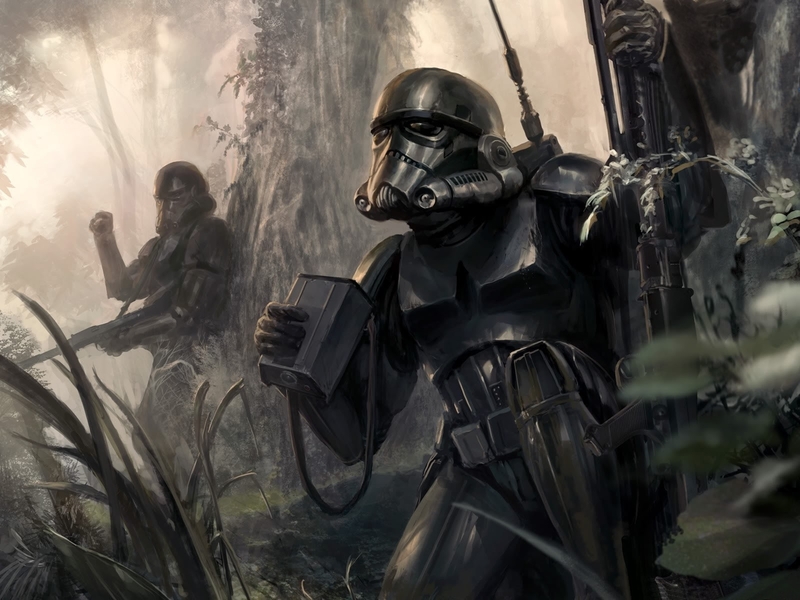 Trained to fight without mercy for any opponent, these Stormtroopers obey Jax's order to locate and eliminate an Imperial Guardsman named Kir Kanos. 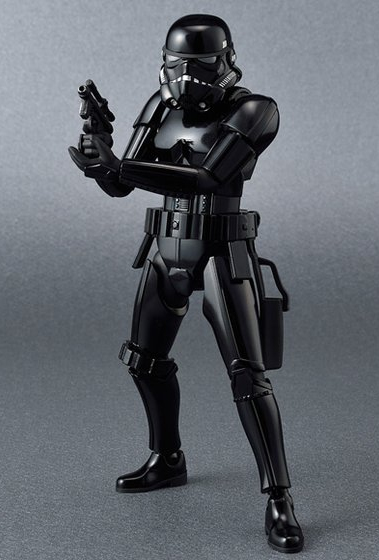 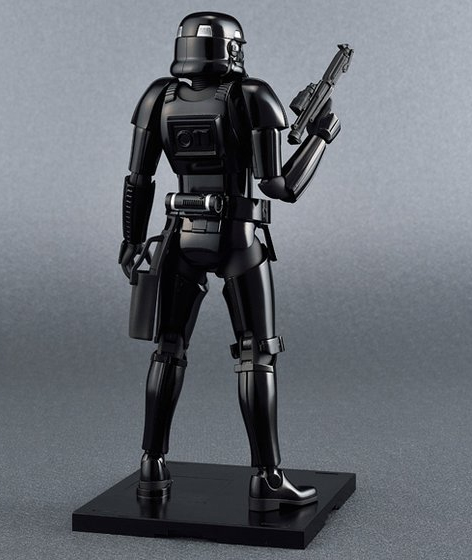 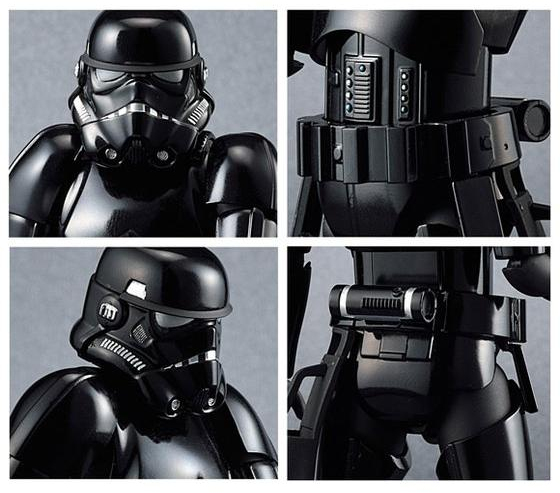 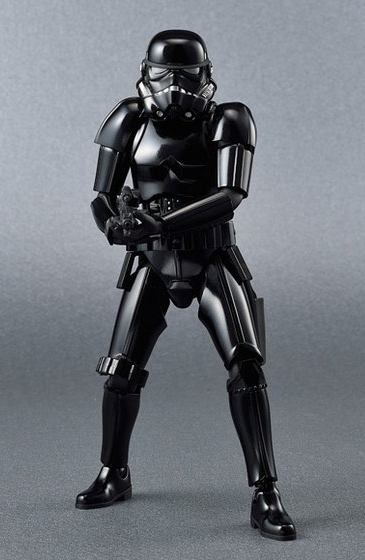 Moulded in Black Plastic, these new fully articulated figures are much like the already released Stormtroopers but with some added features common to only the Shadow Trooper. 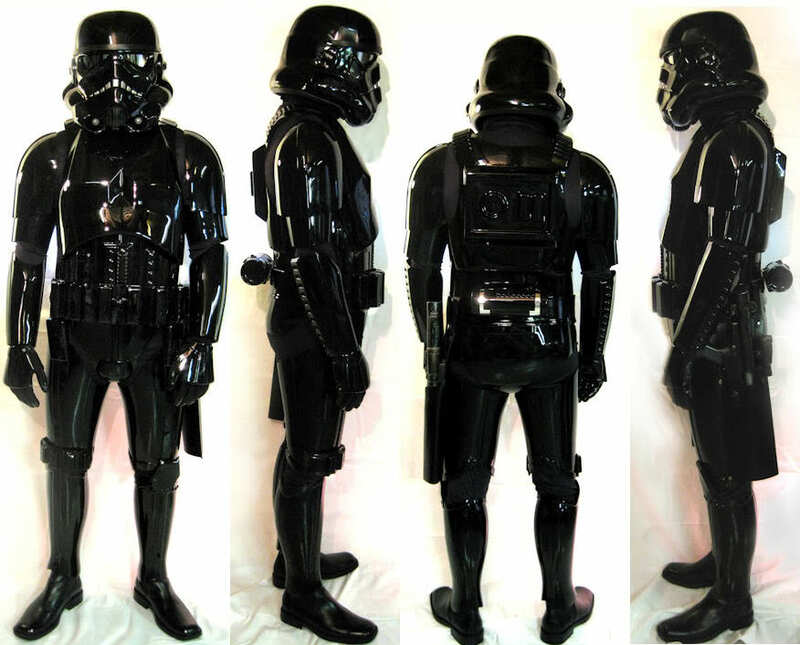 Distinctive (black) colour was reproduced in colour moulding. 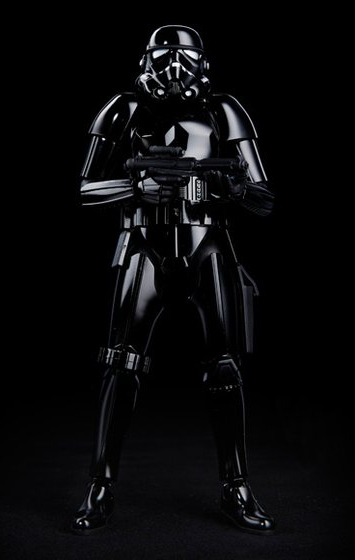 Included in this package will be both water slide and sticker details for you to choose between. 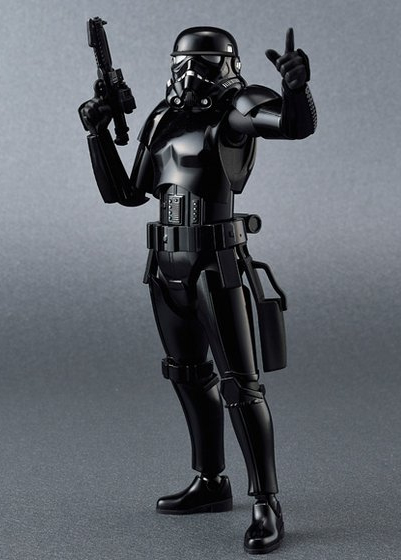 Several different hands support a variety of poses, one of holding a weapon, two with a flat palm. 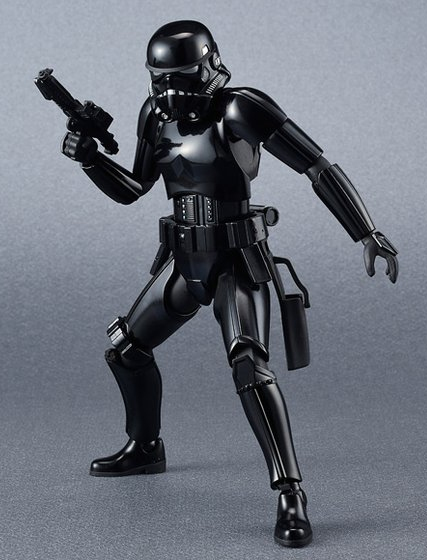 A right fist and the left hand pointing are included and can be swapped out if you like. 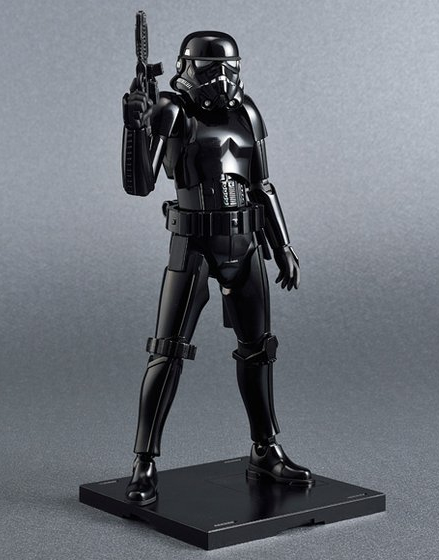 There are some rumours that this will be a 'Premium Bandai' kit that is not available for purchase in your local model shops, though this is not such a big deal to those who now have to jump thru hoops to get their Bandai Star Wars kits – we are sure you will find a way!